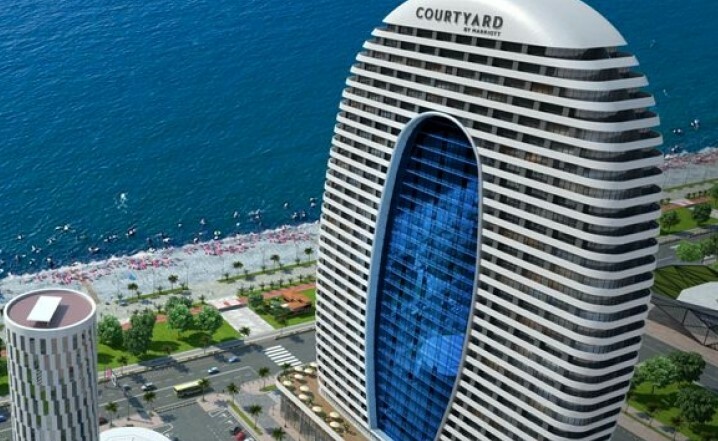 In June 2019, the multi-functional 38-storey residential complex of the Alliance Palace will be opened in Batumi, on five floors (156 rooms) the Marriott hotel brand will be located. 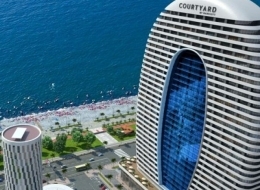 "Commersant" has exclusively learnt that the Israeli company will open the casino Batumi in the hotel. The casino will be opened in summer, however, Alliance Group refrains from specifying a foreign investor.Alliance Group founder Irakli Songulia says that the construction works have been completed and the process of commissioning the hotel is agreed with the local self-government.In Irakli Songuia’s words, the project, which started in 2015 and should have been completed last year, was postponed for various reasons until 2019.Songulia notes that Alliance Palace will be a successful project, as it causes great interest among tourists.The multi-functional 41-storey complex Alliance Palace is being built in Batumi. The investment cost of the project is $ 54 million. The complex with exclusive architecture and modern infrastructure will be located near the boulevard. The project also envisages construction of underground parking, open and indoor pools, health complex, casino and restaurant. Over 300 people will be employed in the frames of the project.